Hello Reader! Love Joe Dirt or David Spade? Well He is Back at it with a crazy mallet Hairdo again so check the news and trailer below if interested. 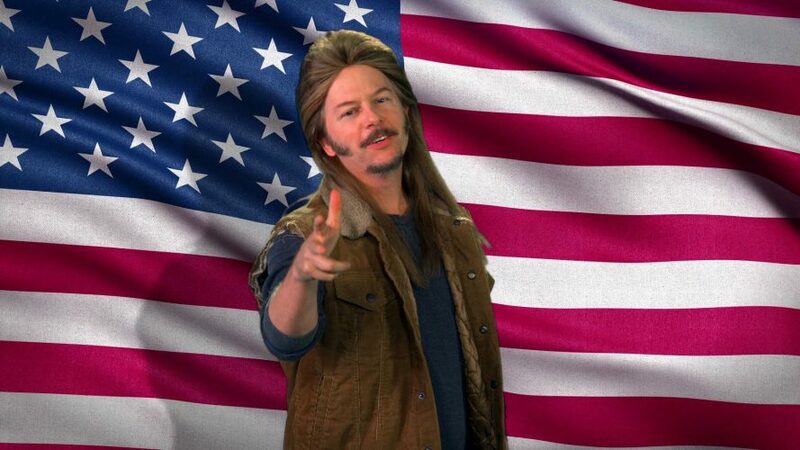 Joe Dirt 2: Beautiful Loser Is David Spade’s Return to the Big Screen, reprising his White Trash Role of Dirt. I Loved the first when When I was young and I Still do so I think I might like this one, also A Few Actors come back to play their character from the first film…Maybe. From The trailer I Hear some Funny and looks like the First film with that same feel so if you enjoyed the first one you may like this one. For me it’s not a Big Screen Viewing but a Blu-Ray Owning. Joe Dirt 2: Beautiful Loser Stars: David Spade, Christopher Walken, Dennis Miller, Brittany Daniel and is Due to hit Big Screens on July 16, 2015. Plot: When happy family man Joe Dirt finds himself transported to the recent past, he begins an epic journey to get back to his loved ones in the present.